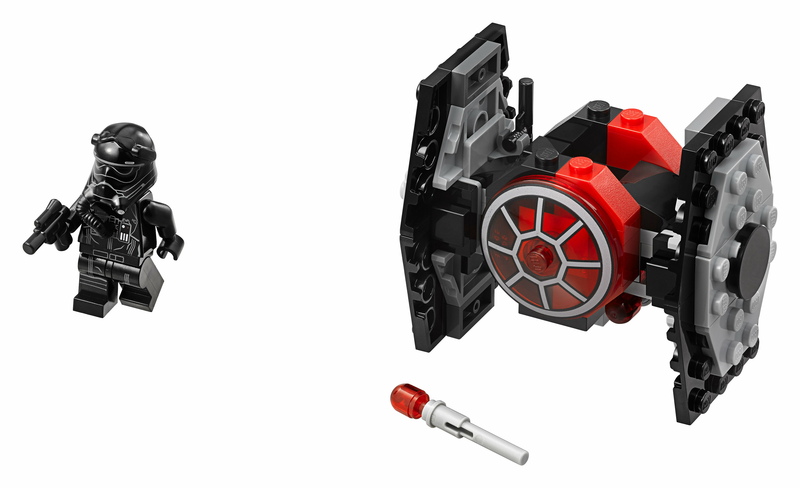 Take on the Resistance in a micro-scale TIE Fighter! 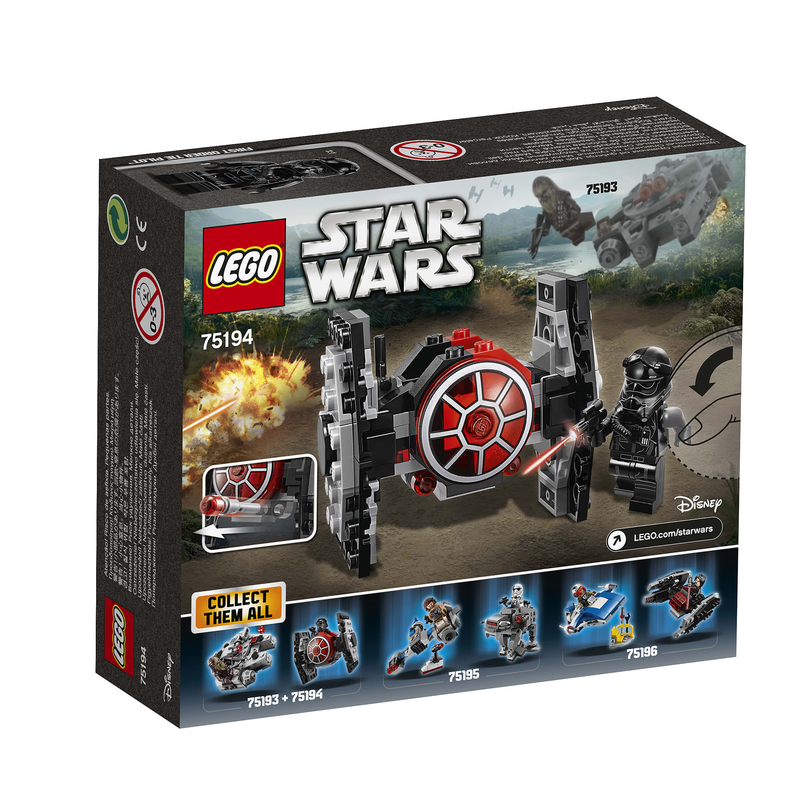 Recreate action-packed space battles with the LEGO® Star Wars 75194 First Order TIE Fighter Microfighter. This miniature model kit features 2 flick missiles, space to seat the included First Order TIE Pilot minifigure with his blaster pistol, and red detailing from the craft featured in the Star Wars Episode VII: The Force Awakens movie.